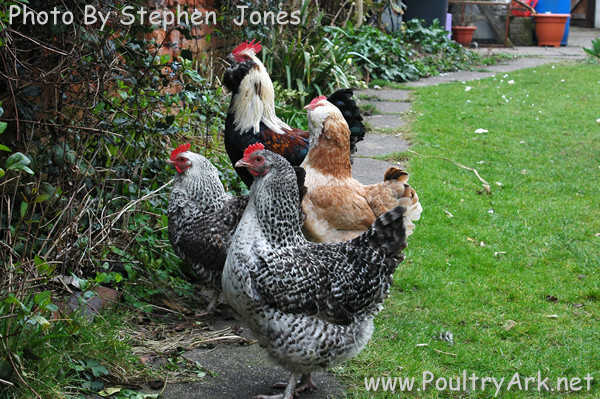 Keeping a few chickens in your garden can be a very rewarding experience. By keeping garden chickens you will get fresh eggs on a regular basis, free relaxation and therapy sessions (chickens make very good listeners) and some quirky, funny, feathered characters that will keep you entertained for hours on end (better than most soaps). The term “garden chickens” can be a bit of an oxymoron. Your chickens will love to free range in your garden if it is safe for them to do so but there is not much that they will not eat, dig up or trample on – so you may wish to fence off any plants you value first. Even when free ranging in a completely fenced in area predators can still be a problem and so it is advisable to only free range when you are able to be out there with them. For those times / areas when it isn’t safe for them to free range a coop with an attached run can allow them to be outside in the fresh air but also give them a bit of protection from predators looking for an easy meal. The traditional poultry ark design which has a built-in run is a good solution for many people with a few garden chickens and is one of the easiest chicken coops to build.